This easy to make, refreshing and healthy Thai style Noodle Salad is perfect for lunch or dinner. 1. Cook the pasta in a pan of salted hot water until al dente. 4. Saute the carrots for a minute. 5. Add the capsicum and mushrooms. 7. Add 3 tsp of water, cover the pan and cook until the vegetables are tender, about a minute. 8. 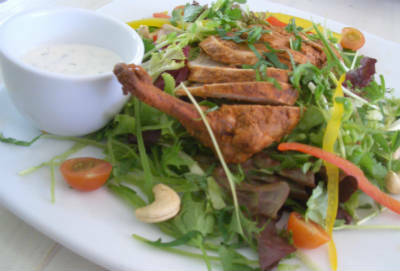 Combine and puree all the ingredients for dressing until smooth. 9. Add the vegetables and the dressing to the pasta. 10. Mix well and keep aside for 10 to 15 minutes. 11. Garnish with spring onions, coriander leaves, peanuts and red chilli flakes. 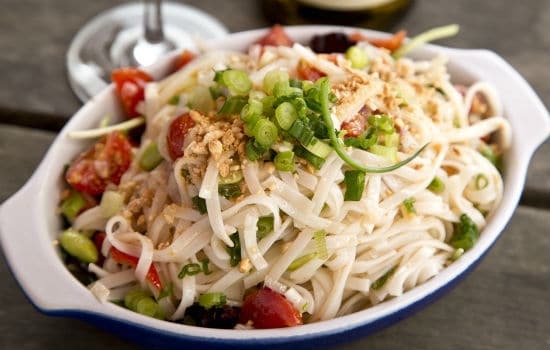 Feel free to comment or share your thoughts on this Thai Noodle Salad Recipe from Awesome Cuisine.